Doris M. “Auntie” Husaem, 96, formerly of Conneaut Lake and a resident of the Crawford County Care Center died there, Saturday, March 23, 2019. She was born June 21, 1922 in Linesville a daughter of Roy and Belle Frey Baker. She married Joseph J. Husaem April 22, 1950 and they enjoyed 62 years of marriage until his death May 12, 2012. She was a 1940 graduate of Linesville High School. She worked at Talon Inc. in Meadville for 14 years, the Modern Talking Picture Service in Pittsburgh for five years and as a receptionist for the John M. Stewart Portrait Studio in Pittsburgh for 9 years. 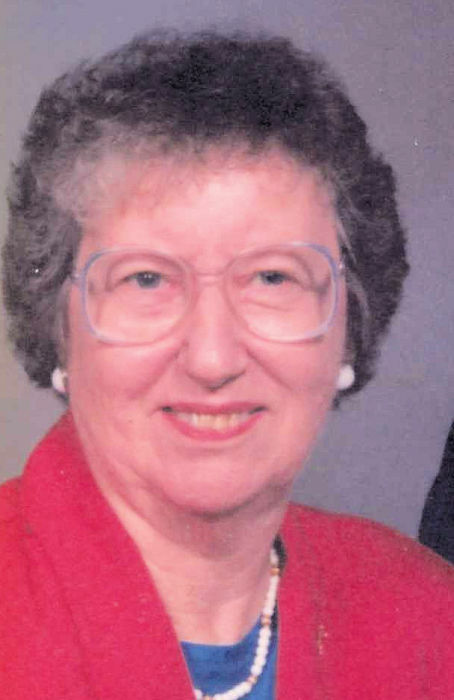 She was a member of the Presbyterian Church of Conneaut Lake, sang in its choir, was a member and treasurer of the Evangelism and Nurture Committee and was a member and treasurer of the Presbyterian Women. In her younger years she enjoyed many sports including bowling. In addition to her husband and parents, she was preceded in death by four brothers, George Baker, Dale Baker, Frank Baker and Calvin Baker; a sister, Frances King and three nieces, Sharon Oskin, Glenda Mackay and Diana Hanson. The family would like to thank the wonderful staff at Juniper Village and the Crawford County Care Center for the care given to Doris. Calling hour will be Tuesday, March 26th from 10-11 a.m. at the Presbyterian Church of Conneaut Lake, 145 S. Fifth Street, Conneaut Lake. The funeral service will follow at 11 a.m. at the church with Rev. Sam Heagy, Pastor, officiating.